Better understand the who, what, where, and why of changes in Active Directory. As of 2012, Blackbird has been acquired by BeyondTrust, and all Blackbird products have been rebranded as PowerBroker. Audit the who, what, where and when of changes in Active Directory, Exchange, File Systems SQL and NetApp, and alert to those changes, providing real-time visibility to address potential compliance concerns. 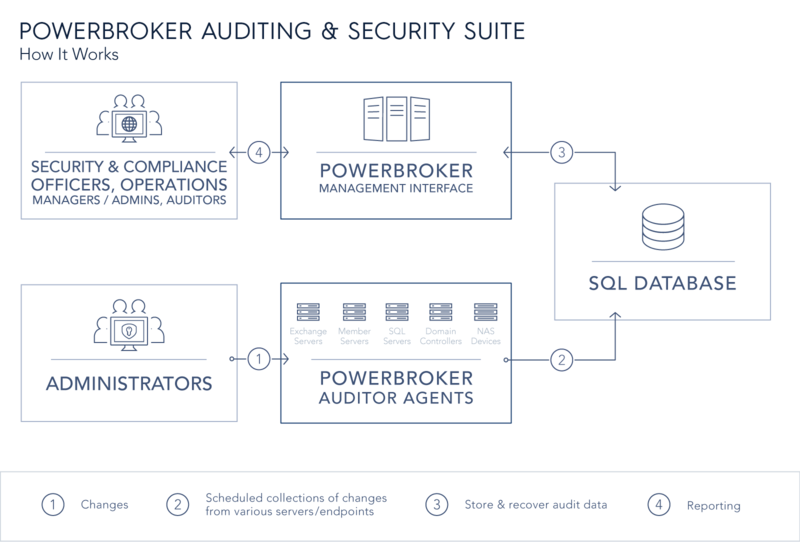 PowerBroker Auditor for Active Directory is part of a suite of auditing and recovery solutions that track and alert to changes across the Windows environment – from Exchange, to Windows File Servers, SQL Server and NetApp. Provide rollback and restore of any Active Directory changes or deletions, and backup and restore of Group Policy, protecting the business from downtime. 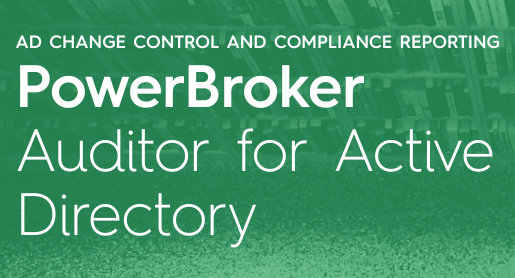 PowerBroker Auditor for Active Directory helps IT organizations meet PCI, SOX, HIPAA and other compliance requirements by auditing and alerting on Active Directory configuration changes in real time. Pinpoint changes that introduce security risks, jeopardize compliance, or impact operations via the solution’s real-time tracking of:who performed each change, what changed (including pre/post values), when the change occurred, and where the change was made. PowerBroker Recovery for Active Directory, when used with PowerBroker Auditor for Active Directory, provides continuous object backup and recovery to minimize the risk of business disruptions. The solution stores every object change in a continuous change log, enabling you to instantly roll back unwanted changes to any previous state, right up to the point of the error. PowerBroker Recovery eliminates tedious manual recovery efforts, saving critical time and ensuring business productivity.